As a wife and mother of two children, my days are hectic. Despite my best intentions, I have a hard time getting to bed at a decent time. To battle this, I have discovered the value in relaxing bedtime routines for the whole family. Winding down at the end of the day bonds us as a family, promotes better sleep and prepares us for the next day’s adventures. Do your days just fly by? Sometimes it is a Tuesday and I am yearning for Friday to hurry up and get here. Then, I turn around and Friday has arrived almost out of nowhere. How did that happen so fast? Oh no, its Friday already? We have a LOT going this weekend and I’m not ready for it yet. Our weekends are packed with soccer games, yard work, projects, weddings, and family events. Too much! When will this weekend end? Oh… It’s Monday again?!?! Really?!?! I really don’t mean to be dramatic. I do love my life even with all of its excitement. My days are packed full of love, life, and the occasional temper tantrum. I wouldn’t have it any other way. But, while I don’t think it is always possible to hit the pause button, I do think it is important to take steps to slow everything down a little bit. To enjoy time as a family and relax. I have discovered that the best time to do this is before bedtime. The importance of getting a good night’s sleep is well documented. But often, just like the days of the week, the hours seem to roll by. Before you know it, it is way past bedtime for the kids. Then a couple more hours evaporate and you’ve missed your bedtime as well. Now no one is getting enough sleep and those days are more filled with temper tantrums than anything else. The best way for everyone in my family to make sure they get a good night’s rest is by incorporating bedtime routines. Keeping any routine is a sure way to make sure you stay on task and on schedule. This goes for bedtimes as well. I have compiled a list of some of the things that our family does before bedtime. All of these bedtime routines bond us together as a family, calm us down to make sure we go to bed at the right time and prepare us to take on the next day. 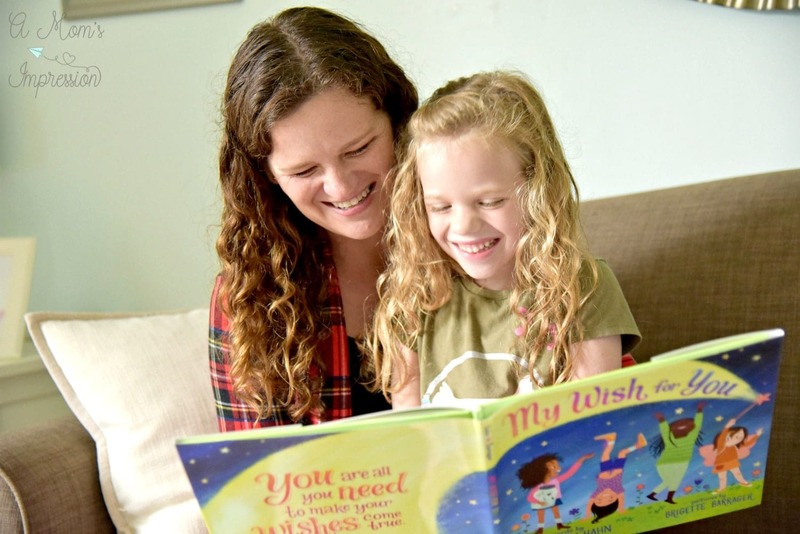 Read a Book-The importance of reading with your children cannot be overstated. Both my husband and I have always been pretty big readers and I am happy to see that this has translated to our children. My son is old enough to read by himself and that always relaxes him before bedtime. We let our younger daughter pick out a book and we read it together in bed. Get Ready for the Next Day-This could mean picking out clothes for tomorrow, packing up their backpacks, preparing breakfast or lunch for school or anything else that may be needed. This serves two purposes: it is signifying the end of today and also making tomorrow a little bit easier. Take a Bath or Shower-This is a classic bedtime routine. Our children both play sports and have practices on weekday nights so we do baths and showers in the evenings. A nice warm bath is a great way to get our children relaxed and ready for bed! Listen to Music-With all the technology out there, it isn’t hard to stream relaxing music for kids on some sort of device. Our fire alarm in the upstairs hallway actually has the ability to stream music. So we can turn on some nice calming music while the kids are getting ready for bed. Music has an incredible ability to promote any mood, including sleepiness! Be Creative-Sometimes, we will all sit at a table before bed and just be creative for a couple of minutes. They can draw a picture, write a story, make a bracelet, build something with legos, whatever they want. This is a great way to take all the information and stimulus of the day and draw it out in a productive way. Play a Game-While I wouldn’t suggest starting an “epic” game that takes hours to complete, playing a nice and relaxing game can be a great bedtime routine. 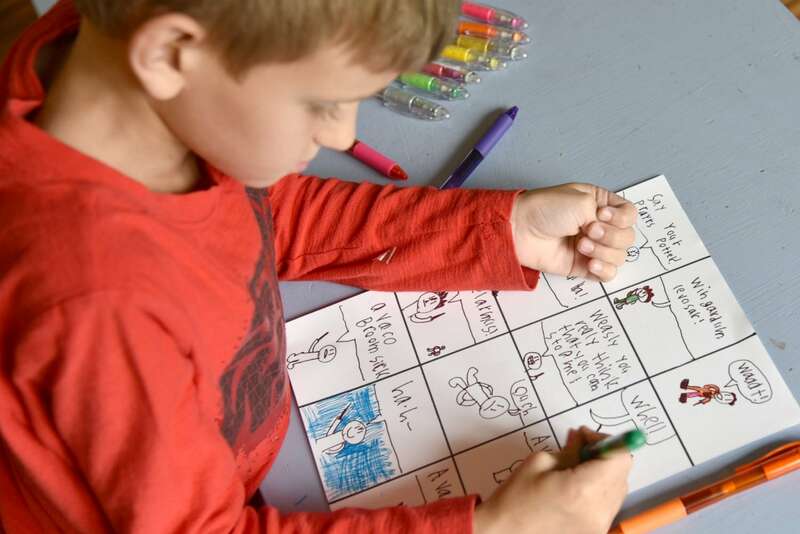 Maybe think of a shorter card game like “Go Fish”, or a simple board game. Watch a Show-On the weekends, letting them watch their favorite show before bedtime is a fun treat. We have tablets, so we just let them watch the show in bed and, next thing you know, they are feeling sleepy! Talk- Yep. Just talk. This is probably one of my favorite bedtime routines. My husband usually has the honors of this one. He will just lay down with them in bed and let them talk about whatever they want to talk about. Does your child constantly come up to you while you are doing the dishes to tell you some detailed story about the playground? Are you REALLY listening? Probably not. I would be lying if I said that I had the ability to completely pause everything in the middle of the day to really listen to everything my children say. They say A LOT of things! I’ve learned to pick up on the important stuff: are they hurt? Scared? Worried? If not, I’m passively listening. But this bedtime routine is the perfect opportunity to give them our 100% focus and really learn about what is going on in their lives. Keep a Journal-Just like talking and being creative, this is a great way to take the confusion of the day and lay it all out before your head hits the pillow. Drink a Relaxing Beverage – Our kids usually like to have a nice glass of water before bed. But warm milk can always relax them as well. 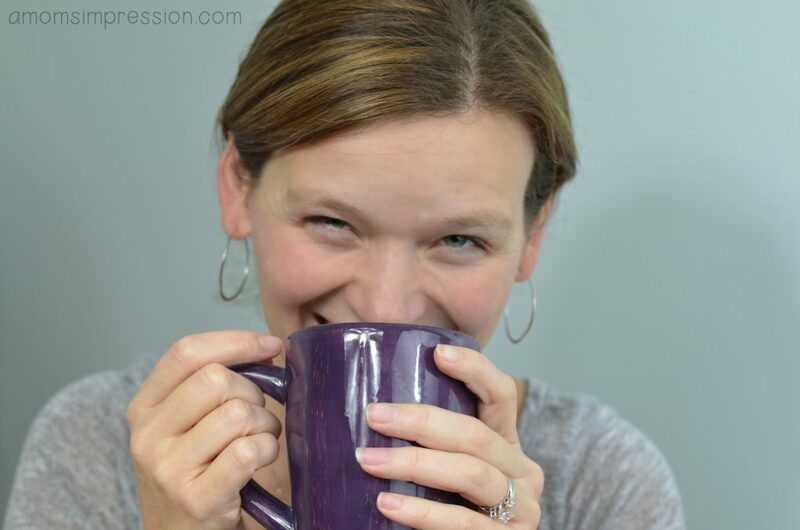 My husband and I love to drink a mug of hot tea. 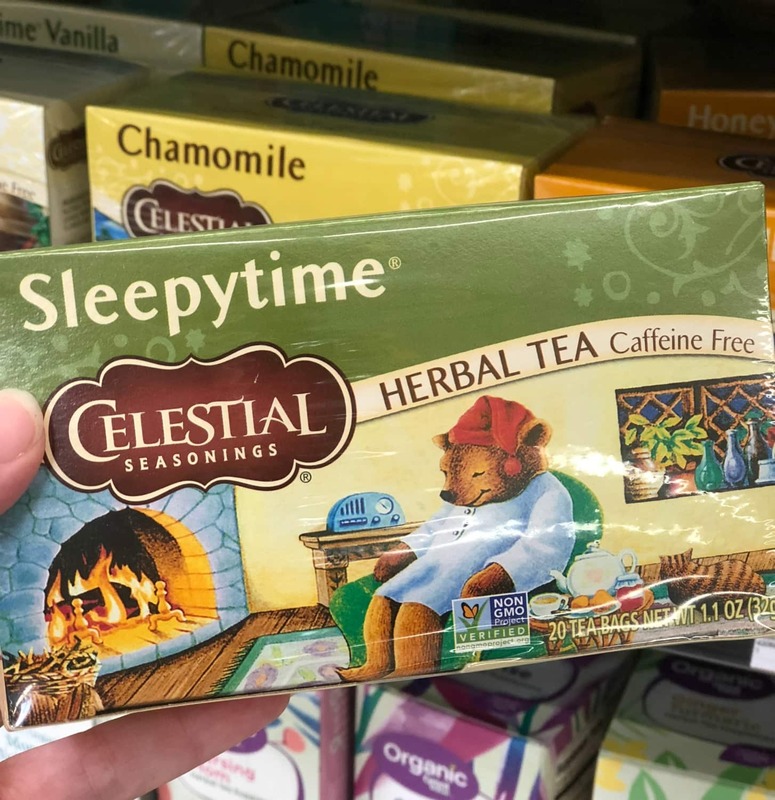 In our home, we are huge fans of Celestial Seasonings Sleepytime Tea. This decaffeinated tea can always get us relaxed for bedtime. You can taste the subtle touches of chamomile, spearmint, and fresh lemongrass. We generally drink Sleepytime Classic but are also fans of some of the other flavors such as Sleepytime Detox, Sleepytime Lavender and Sleepytime Honey. 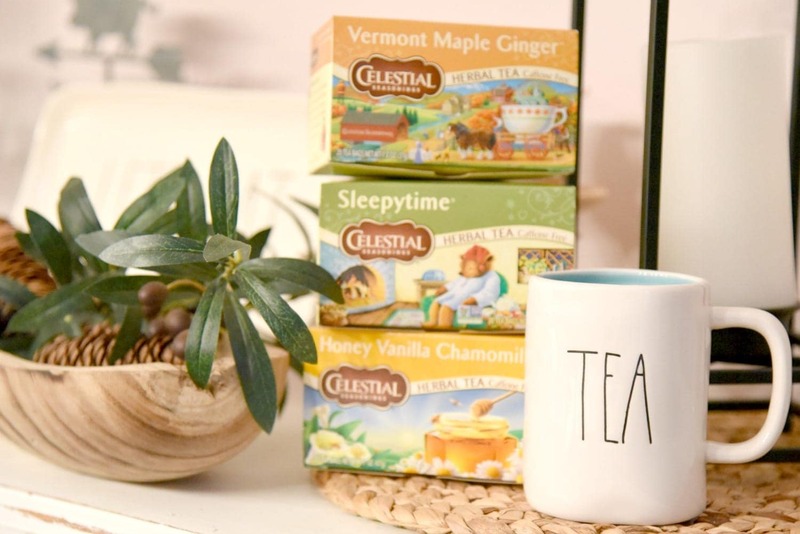 We have always been big fans of Celestial Seasonings tea. It is especially perfect for this time of year. Fall is settling in and there is nothing better than to put on a warm sweater, light a fire and drink a nice hot cup of tea. 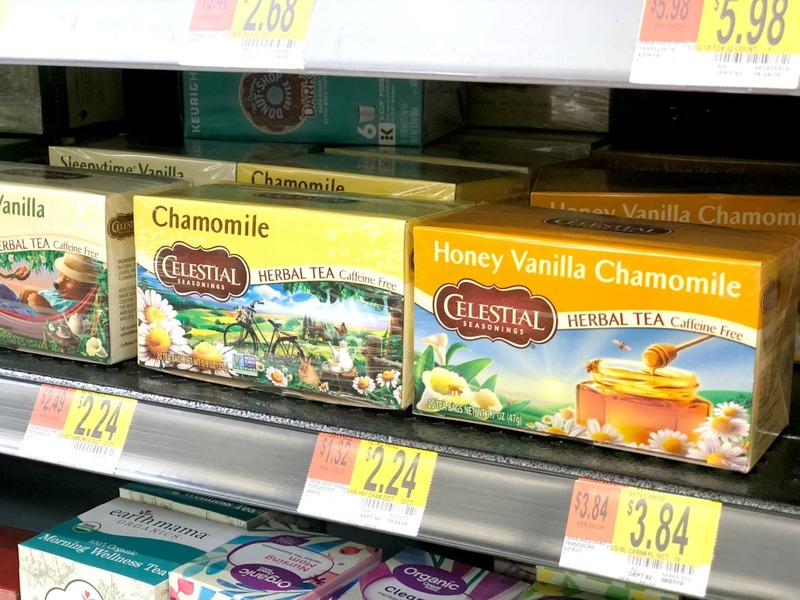 Celestial Seasonings has so many great decaffeinated options in addition to their Sleepytime. I am also a fan of their Honey Vanilla Chamomile. On my last shopping trip to Walmart, I also spotted Vermont Maple Ginger. I hadn’t tried this flavor yet and it had a great combination of “sweet and spicy” by using real Vermont Maple and ginger. Make sure you try this one out if you see it on the shelves at Walmart! With that busy schedule I as talking about, we love to shop at Walmart because they have an option to do online grocery pickup. It really saves me a lot of time. In addition to all the wonderful flavors of tea that Celestial Seasonings offers, we use their product because we believe in their company. For over 40 years, they have been able to provide quality tea by using quality ingredients that are great for the consumer and the whole world. Operating with a focus on sustainability, Celestial Seasonings uses their products to make the world a better place. This includes growing seeds around the world using Earth-friendly methods and using sustainable packaging. Have you ever noticed that Celestial Seasoning tea bags don’t have a string, tag, staple or individual wrapper? They simply use a natural fiber bag that results in saving 3.5 million pounds of waste each year! It is amazing how the little things like that can make such a big difference! As Fall settles in, make sure your family is settling in as well. The excitement and challenges of tomorrow won’t stop coming at us. The best we can do is take a little time to slow things down and make sure we are relaxing and getting a good nights sleep. How do you and your family relax at the end of the day? Do you have and bedtime routines that you would like to share? I need all the relaxation I can get!